Unlike regular servers, blizzard tends to update the PTR at rather odd times. At least from a European point of view. Those "few weeks" in which we were said to receive the 3.0.2 patch on the live servers appears to be turning into more than a few weeks, and is more likely going to be a month and a bit at the current rate. 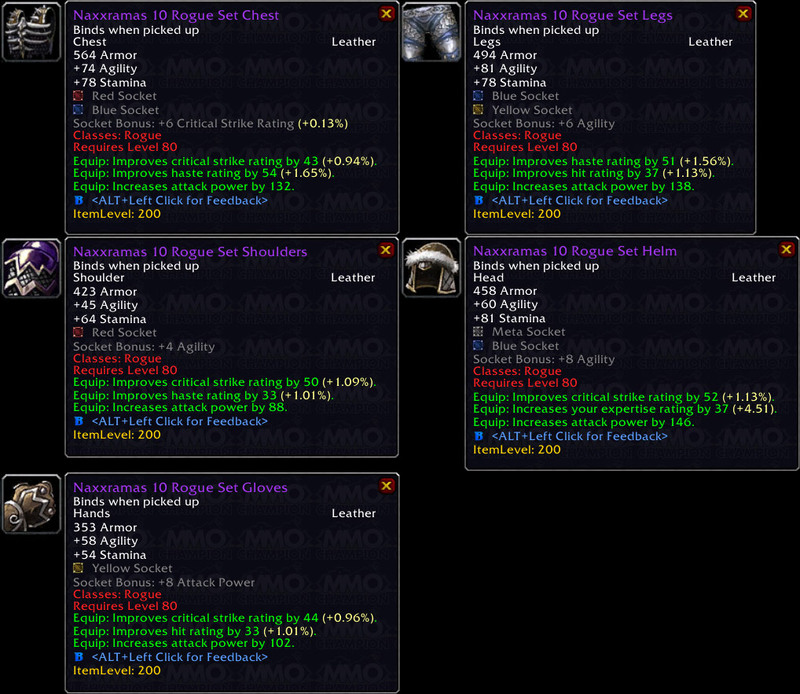 In this build Naxxramas has been opened and a lot of items are available for viewing. The 10 man ilvl seems to be 200 with loot from Kel'thuzzad being at ilvl 213, whereas the 25 man version of Naxx seems to have ilvl 213 as a base. Not much else is available from the 25 man Naxx yet as it's not fully itemized yet. Some of the armor sets are also available. Keep in mind these are beta and still unfinished. 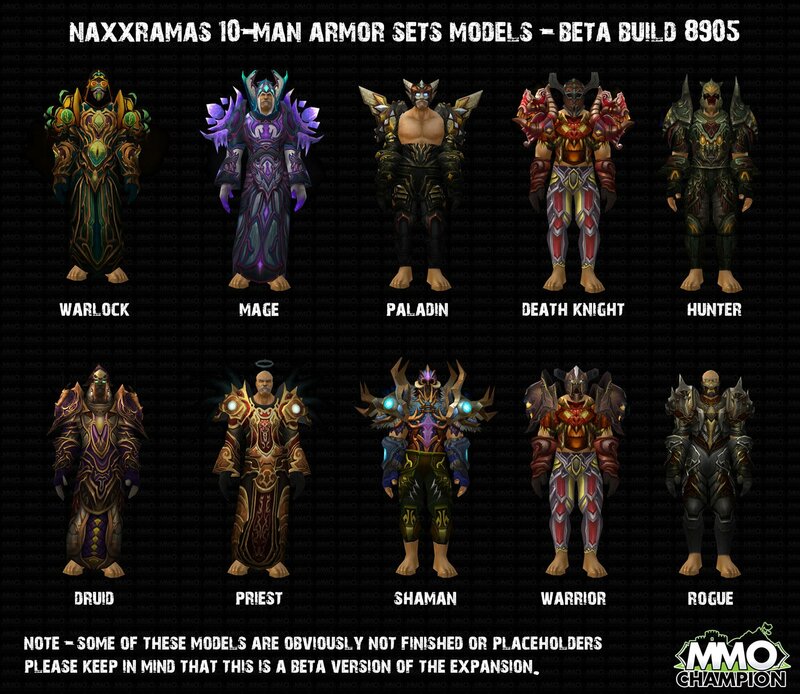 But it appears that blizzard is reusing the original (recolored) Naxx models. You can find the stats for the Rogue set and others over at MMOC and WoR. Wowhead doesn't seem to have picked up the items yet. Further class changes including the poorly designed rogue combat tree as was announced earlier, are now available on the PTR. Glyph of Pick Lock - Reduces the cast time of your Pick Lock ability by 75%. Glyph of Safe Fall - Increases the distance your Safe Fall ability allows you to fall without taking damage. 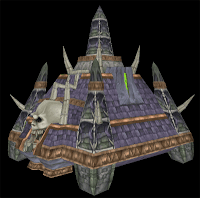 The WotLK wiki will likely have the full list up soonish. If not then WoWWiki probably will. Racials. Indeed, some of your racials are getting changed, and some races will receive extra racials. Trolls for instance (/woo!) are getting a 15% reduction in snare effects upon them. Where Orcs previously had a 15% stun resistance, they now have a 15% reduction in the stun duration upon them. All the flat resistances for all races are being changes to a 1-3% chance for spells of that type to miss. Undead are getting the lower end of that stick with only 1% against shadow type spells. As you might have feared, the Tauren health bonus is being scaled down a bit as well. The human racial "perception" is being nerfed as well. (Rogues and druids rejoice!) Instead of an activated +10 stealth detection level, all humans now have a passive +1 stealth level detection. This should be a lot more in line with the other races. It's uncertain whether any other racials (such as the +1 crit on ranged weapons for trolls and dwarves) will get changed as well. Time shall tell. See here for more details on the matter. Closing one poll, and putting a new one in it's place. Zug Zug? See: this post. KZ shouldn't be too hard to clear, even in a pug? Yeah, that's the theory, but our group has been at it for months.. never even seen netherspite, only recently got Prince, and it's 50/50 whether we will tackle Illhoof on any night. There are 6-7 regulars, the rest pugs. More often than not the pugs are new to 70, or Kara at least. We try to take it in one night (I can only play on Friday nights), and usually 1/2 through the back half the wheels fall off the cart. Anyway.. no great pressure any more. Could simply recruit more players. We took a while at the start as well, but once you've killed a boss once, it's generally a lot easier to do it again. It would be kinda cool if raid dungeons were even slightly about fun and less about just the pure loot drops. Everywhere I am reading about WotLK, it is all drops drops drops and nobody even talks about whether or not the content is FUN. It varies per player really, getting down new bosses is an achievement (fun) in itself. Loot is a tool to get that task done.